Get a shooter feel by attempting our new creation that will give you amazing look. 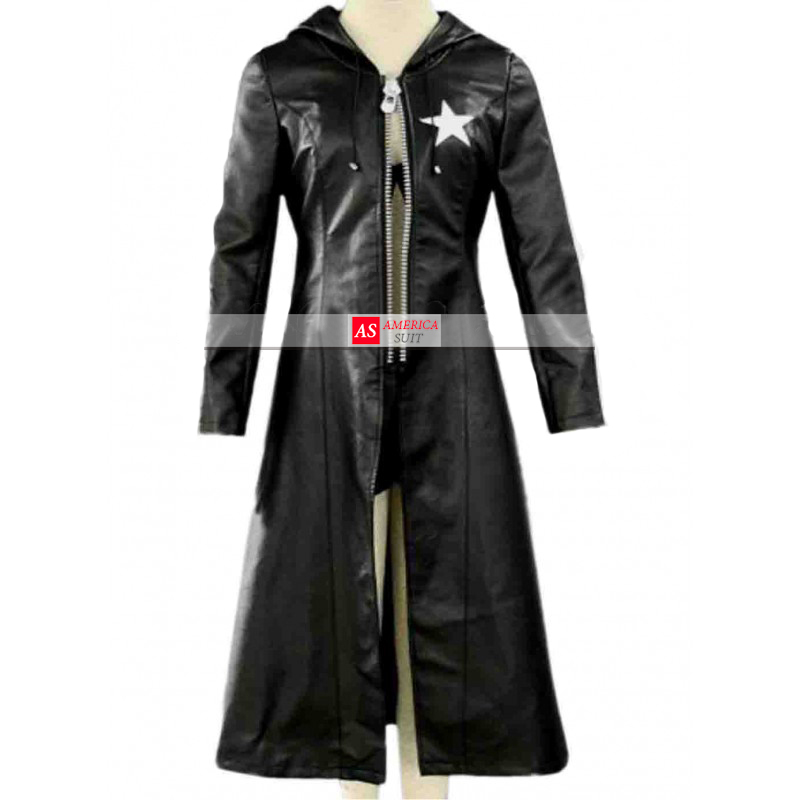 Our inventive designers arranged Black Rock Shooter Coat that gives you shocking appearance. Accessible in authentic calfskin andFaux leather. Intriguing dark full length coat in hoodie style having front zipper gives astounding look and make it eye-taking outfit. Hoodie style with front zipper securing which is till waist. Fitted sleeves with open stitch sleeves give impressive impact. Shinning white star emblazoned on front and back is the key element of Black Rock Shooter Jacket gives remarkable touch and makes it striking clothing. Preeminent sewing includes keen touch.